Aqua Expeditions is a small boutique river cruise line with two vessels that specialize in luxury cruises on the Amazon and the Mekong. They offer a nearly 1:1 guest to crew ratio on vessels that don’t exceed 40 passengers. Aqua Expeditions was launched in 2007 with their first new build, Aqua Amazon offering uniquely intimate and life enriching river safaris on the Amazon. With the success of their first vessel, they launched their second Amazon River ship, Aria Amazon in 2011 (refreshed in 2015). 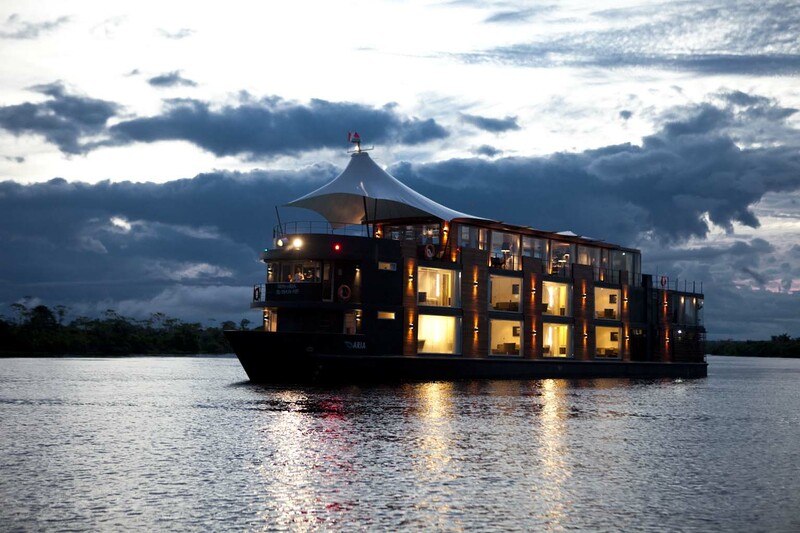 In October 2014, Aqua Expeditions launched a third luxury vessel, the 20-suite Aqua Mekong on the historic Mekong River. In July 2016, the Aqua Amazon sunk due to a fire that caused an explosion. Although there were no passengers onboard, there were crewmembers that lost their lives and others that were injured. Their river vessels sail with a crew of 21 to 40 crew members which include an onboard paramedic, Cruise Director, and 3 to 4 English-speaking naturalist guides.